Onesis Castillo arrives carefully carrying a cactus, and Gilberto Gonzalez holds open the plate-glass door of Crystal Gardens to let him in. Crystal Gardens is small and Broadway is big, so you'd think you'd be likely to miss it. Except that you can't. Gilberto and Onesis won't let you. Crystal Gardens is at 31-18 Broadway. 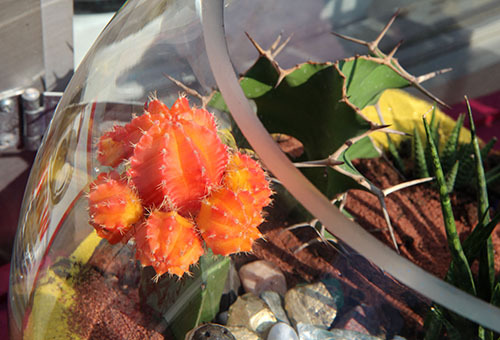 It is they who make the miniature fantasylands populated with cacti and cute critters. Hanging in the window, the glass globes shine in the sunlight and shimmer in the streetlight. They put some of them on the sidewalk, where you can't not look. This is more necessity than marketing: If Gilberto and Onesis are standing in Crystal Gardens at the same time, there's no room for a customer. 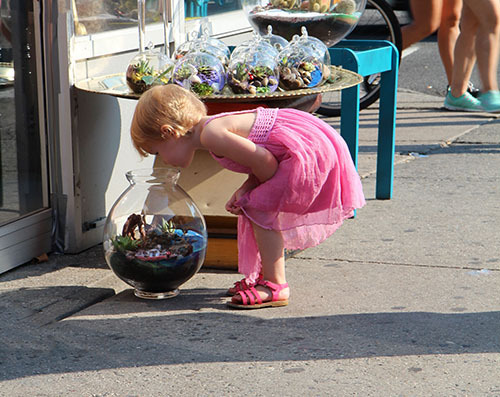 As they start arranging the street displays, a little girl in a pink dress, followed by a frowning mother, runs up to a terrarium and squats beside it, putting her nose to the glittering glass. A young couple, holding hands, admires the orange flowers of a cactus sprouting from a horn while another woman falls for a yellow rose in a hanging ball. 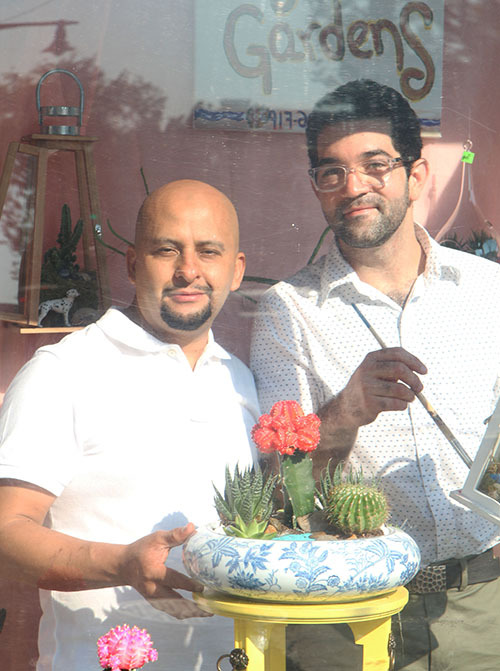 Gilberto, built like a bull, and Onesis, who moves like a weeping willow tree in the wind, opened Crystal Gardens a year and a half ago in a small-scale space that used to be occupied by a florist. 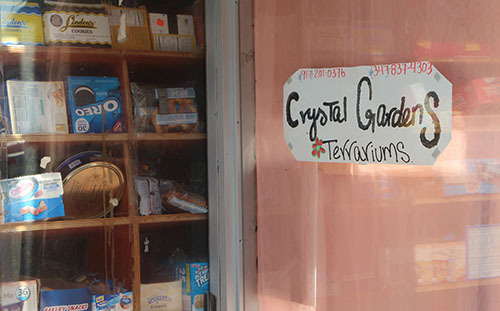 Crystal Gardens is attached to a grocery. Its sign is hand-lettered (it includes their cell numbers), and its hours (Thursdays through Sundays, noon to 9 p.m.) are sandwiched between their day jobs. Gilberto, who is from Mexico, came to New York to be an actor. He never took any acting lessons in Puebla, where he was born, or in Mexico City, where he moved when he was 11. 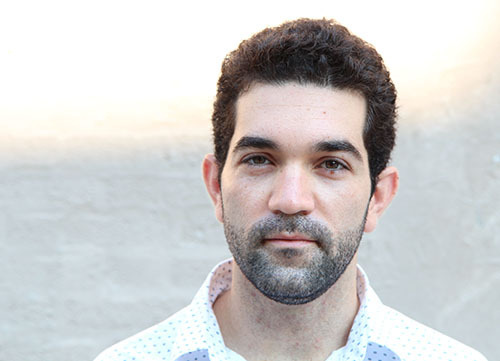 But his passion persisted, and by 17, he was in Manhattan, taking classes here and there and picking up little then big parts, most of them in Spanish-language productions. Onesis grew up in the Dominican Republic. "It's beautiful to create a character who has different feelings and ideas," he says. "You give life to your spirit because you are using your body and instruments." To pay the bills, he worked as a chef at the Film Center Café. It was the longest role of his career: When it closed in 2011, he had 17 years under his toque blanche. 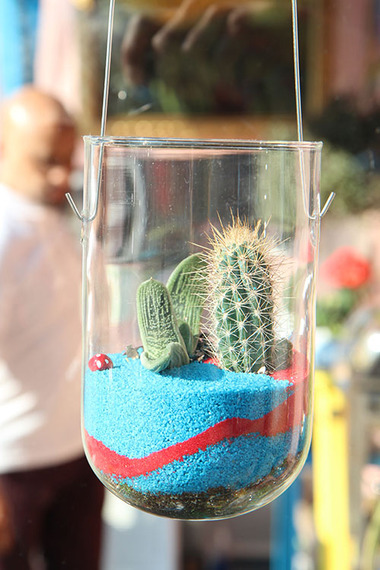 A cactus grows in a crystal garden. Now, he works three days a week as a restaurant cook. His acting career is on hold, but he still rehearses with a coach once a week. Like Gilberto, Onesis wasted no time in coming to New York. As soon as he graduated from high school, he left his home in Baní in the Dominican Republic. His goal wasn't as concrete as Gilberto's. He loves art and dancing and fancied he would do something in those fields. 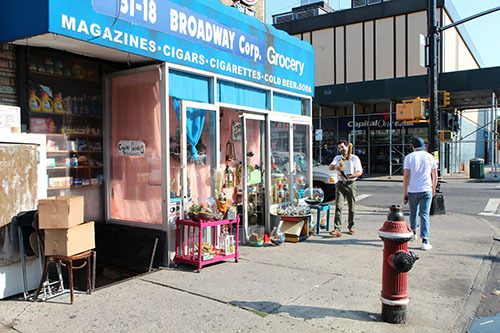 At first, he worked in bodegas, then restaurants. Now, he has two part-time jobs -- one at a restaurant, the other at an optical shop. They met at a charity event a week after Onesis' arrival and have been inseparable ever since. As their relationship grew, so did Crystal Gardens. "We started with a bowl," Gilberto says. "We put flowers in it then live plants and a rock. As the story got more complex, we added an animal." 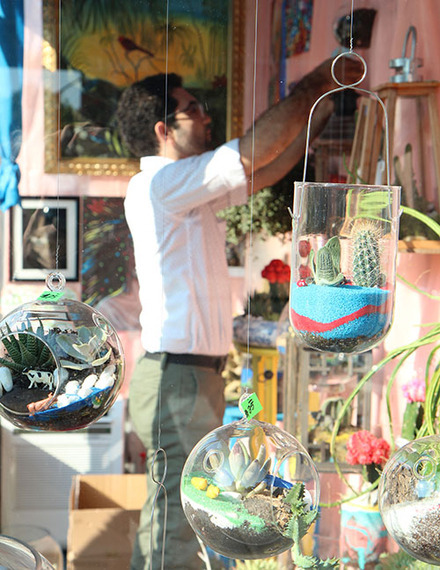 When their ideas became bigger than their apartment, which is a couple of blocks away, they opened Crystal Gardens. 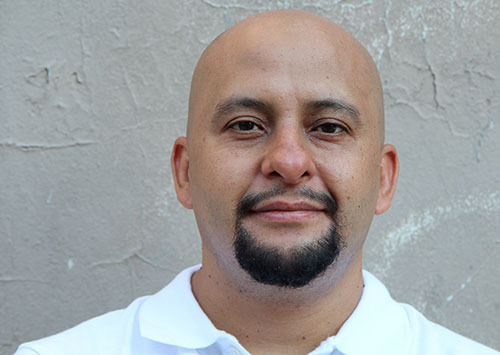 "In each one, I put my story," says Gilberto, who is 42. "It's what I feel at the moment." "We kept creating ideas," says Onesis, who is 26. "We don't know how it happened." Each garden has a story. Adds Gilberto, "We believe in the muse." Do you want to go to the beach? Kick off your shoes and dip your toes into the water-blue sand of the tropical terrarium that features a trio of cacti and an umbrella-shaded patio table with seating for two. How about the moon? Follow the tiny suited-up astronaut who's trekking through the planet's gigantic white rocks. They want to expand Crystal Gardens. 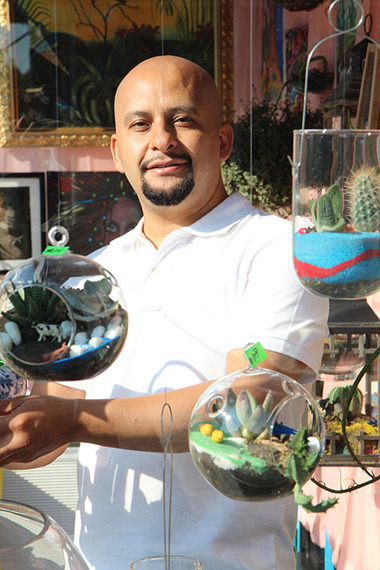 Gilberto and Onesis hope that their creations bring as much joy to their customers as they do to them. Someday, and they would like to believe it will be soon, Gilberto and Onesis will expand Crystal Gardens. For now, though, it just seems right to sell miniature gardens in a miniature shop.